Save The Environment: How What You Eat Changes The World. if they have enough to go on if you have any doubts. We can't save the environment without water. The soil we walk on seems infinite, but billions of tons of topsoil have been lost in the last 50 years due to unsustainable land management practices. We cannot save the environment if we can't feed ourselves. Our world is also vulnerable to toxic fungicides and pesticides which are liberally spread over crops, endangering us and polluting the earth. We can't save the environment if we continue to pollute it. It's clear that one diet actually helps the planet, and that's a raw, organic, fruit-based diet that also includes plenty of vegetables as well as nuts and seeds. Below, and in subsequent articles, I hope to show you why adopting such a diet is best not only for you, but for the earth as well. Eat all you care for, but choose foods that save the environment. The Destruction of Our Forests: Can Meat Eaters Save The Environment? If we lose our topsoil, our tenure on this planet is over- It's as simple as that. The fall of numerous mighty civilizations of antiquity can be traced to the loss of something as simple as dirt. When crisis came, these groups choose not to save the environment of their lands. In 1938, Walter Lowdermilk, an official in the Soil Conservation Service of the U.S. Department of Agriculture, went on a world tour. He headed around the globe to see how older civilizations had dealt with the erosion that was then ravaging U.S. farms. Some groups had managed their land well and were still thriving, others had not, and the consequences were stunning, he later said in a report. Lowermilk described a spot in Syria where old ruins sat atop barren rock in the section of his report entitled "A Hundred Dead Cities". 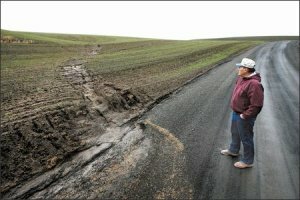 "Here, erosion has done it's worst," he wrote. "...If the soils had remained, even though the cities were destroyed and the populations dispersed, the areas might be re-people again and the cities rebuilt, but now that the soils are gone, all is gone." 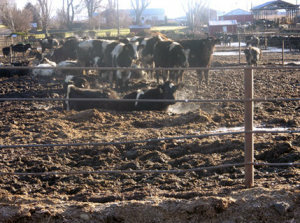 By 2005, 260 million acres of forest had been clear-cut for animal agriculture in this country. (2) With the population growing and per capita meat consumption increasing, deforestation is only increasing. It's clear that our other conservation measures will not equal the good that simply giving up meat would bring about. In South America, our meat obsession is causing the destruction of the rain forests, the greatest source of biodiversity on the planet, and an absorber of vast quantities of carbon dioxide. The United States imports 200 million pounds of beef from Central America every year. There are few natural pastures in this heavily-forested land, so they're steadily being carved out of pristine woodland. A Smithsonian study estimates that the need for grazing land and grain feed leads to the destruction of a land area equivalent to seven football fields in the Amazon basin every single minute (3). We cannot continue this rate of forest destruction if we're to have any hope of saving the environment. Without these trees, the world loses an important source of soil stabilization. The grasses that take their place have a tenuous root system and are eaten by livestock. The hooves of grazing animals further churn up and destabilize the earth. Wind and rain can then blow or carry the soil away, with most of it ending up washed out to sea. 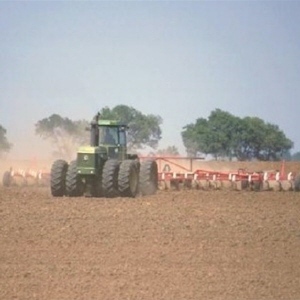 Studies analyzing the effect topsoil loss on crop productivity find that losing an inch of topsoil reduced corn and wheat yields an average of 6 percent. An inch of topsoil takes centuries to form without human intervention, so losses at current levels are irreversible on a human-scale time frame. (4) We are reducing our ability to feed ourselves as the population continues to grow, as well as slowly degrading out breadbasket into something similar to what Lowdermilk saw in Syria. If you find this a ridiculous claim, and you say that Middle-Eastern Syria has nothing to do with with the Midwest, then I invite you to look at pictures of the dust bowl. In the 1930s, farmers were plowing from "fencerow to fencerow". An unbroken forest once stretched from Main to Texas, but much of that is gone too, with more being cut down all the time. The production of meat consumes an amount of water equivalent to all other uses of water in the U.S. combined. (6) Besides what livestock drink, water irrigates the grains they eat until they're slaughtered. Each pound of beef requires 1939 gallons of water, but a pound of potatoes requires only 64 gallons. (13) Animals must be supported for months and years before they're ready to be slaughtered, making them an extremely inefficient foodstuff. If you shower for 7 minutes every single day, at 2 gallons of water per minute coming out of your low-flow shower head, that equals 100 gallons a week. Eating a single quarter-pounder hamburger, then, at 484 gallons of water, is the equivalent of giving up four weeks of luxurious showers. The only more wasteful agricultural system imaginable would be feeding meat-fed humans to cannibals. 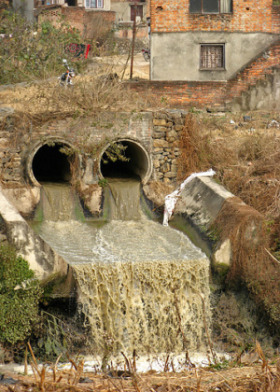 Livestock feces is also a huge pollutant, and regularly gets into our water supply. Even the EPA identifies animal excrement and animal agricultural chemical pollutants as a major contribution to the destruction of the environment (8) The manure created from the billions of animals killed for food has to go somewhere, and it often ends up in rivers and streams, killing millions of fish (9). Manure and agricultural chemicals seep into our waterways and groundwater, eventually making its way into the oceans and creating massive dead zones, or areas so toxic that neither plant or animal life can survive there. These spots, like the dead zone created where the Mississippi spews animal waste into the Gulf of Mexico, are visible from space. If we want to save the environment, we need to control our water use and pollution. Everyone is talking about the harm that our C02 emissions are doing to the environment. We fret about what's coming out of the tailpipes of our cars and the pollutants being spewed into the air by coal-fired power plants. These are all valid concerns, but few stop to think about the fossil fuels burnt to produce our food. Driving a hybrid car instead of an gas guzzler would conserve around a ton of carbon dioxide per year. A great thing if you're trying to save the environment. It's absolutely clear that the single easiest thing a person can do to help save the environment is to give up meat and dairy. This will free up millions of acres now used for animal agriculture that could then be replanted with trees. 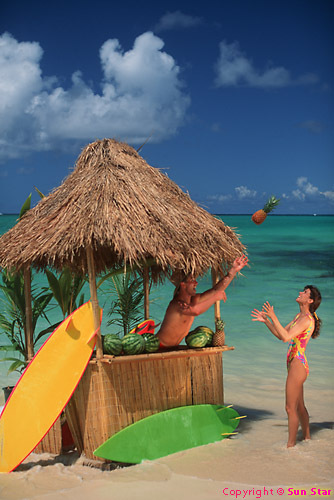 Beyond grain-based vegetarianism, a diet of raw fruits, nuts, and vegetables will actually regenerate the earth. Orchards absorb C02, thus reducing the problem of global warming. They also stop soil erosion with their extensive root systems and start to regenerate it through the annual leaf die off. Leaves fall to the ground, rot, and add to the topsoil. Jim Sloman, author of "A Global Vision," writes, "If the earth were covered with orchards (much like Tikopia) it would be possible to feed humanity using even less water and soil while most likely greatly increasing overall health." He mentions Tikopia, an island settled 3,000 years ago. By 100 B.C., Tikopia was throttling towards destruction, much like the Easter Island civilization that wiped itself out by destroying its own trees. (14). In their own small way, they were able to save the environment, and in doing so saved themselves. What the people of Tikopia did was brilliant. Its through these kind of efficiency increases that we can really start to save the environment. For a practical example, a mature apple tree will produce 20 bushels a year. A half acre of apple trees would yield enough fruit to provide about 115 apples, or 12,677 calories per day, more than enough to feed a person.(16). On a half acre, grains can produce 14 cups of cooked grain, or 9,583 calories a day (brown rice).(17). Apples are an example of a low-calorie fruit at about 112 calories for a large apple. 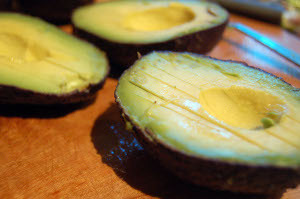 When you change the fruit to avocados, which yield 364 calories per fruit, or 41,860 caloriesper 115 fruit, you see how orchards are the superior choice for land use. These lands could be better used as forests, forested parks, or other recreational spaces. This does not even touch upon the huge energy savings brought about when a civilization doesn't have to cook its food (statistics sought). Though this simple dietary shift was can go a long ways toward saving the environment. If you're at all environmentally aware, you can't help but look at a meat habit with some sense of disgust. Its toll on the earth is simply too great. We can't save the environment while eating meat at this volume. Even a grain-centered vegetarian diet has its flaws. 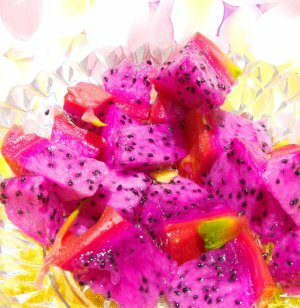 The best way to go, for your own health, and for the health of the planet, is a delicious diet of fruits, vegetables, nuts, and seeds. Eat Fruit, save the environment. Simple as that. And remember, it's tasty, as well as healthy. The raw food diet that will save the environment can also fight disease. Learn how trees directly benefit your life here. (2) Earth Talk, "The Environmental Beef With Meat," The Bay Weekly, 6 Jan. 2005. (3) Smithsonian Institution, "Smithsonian Researchers Show Amazonian Deforestation Accelerating," Science Daily Online, 15 Jan. 2002. (4) Loss of topsoil from water erosion from USDA, Summary Report: 1997 Natural Resources Inventory (Washington, DC: December 1999, rev. December 2000), pp. 46-51; effect of topsoil loss on yields in Leon Lyles, "Possible Effects of Wind Erosion on Soil Productivity," Journal of Soil and Water Conservation, November/December 1975, discussed in Lester R. Brown, "Conserving Soils," in Lester R. Brown et al., State of the World 1984 (New York: W.W. Norton & Company, 1984), pp. 62-65. (5) Perlin, John, A Forest Journey. The Role of Wood in the Development of Civilisation (Cambridge, MA; London, 1989), p. 15. (6) Estimation of the water requirement for beef production in the United States J. L. Beckett and J. W. Oltjen, J Anim Sci, 1993. 71:818-826. (8) US Environmental Protection Agency. 1984. Report to Congress: Nonpoint Source Pollution in the US Office of Water Program Operations, Water Planning Division. Washington, D.C.
(11) The New Scientist,“It’s Better to Green Your Diet Than Your Car,” 17 Dec. 2005. (14) Bologna, M. and Flores, J. C. “A simple mathematical model of society collapse applied to Easter Island.” EPL, 81 (2008) 48006. 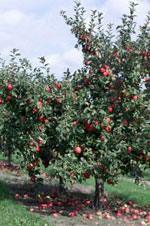 (16) Apples & More, "Apple facts," University of Illinois.One tree produces an average of 20 bushels. One bushel contains about 120 apples. (Allenberg’s Orchard 2004) 2400 apples from one tree amounts to 6.57/day. One acre can produce 700 bushels (Facts: All About Virginia Apples) 700 times 120 divided by 365 days equals 230 per acre or 115 apples per day from a half acre.